Cheat Sheets are a great way for having essential information at your fingertips. We as web developers, like to have our essential web development cheat sheets close and in an easily accessible place such as posted on our office walls. 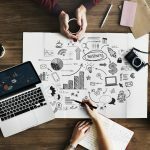 In this article, we are sharing all the cheat-sheets we use for referencing information related to website development and believe that they are must have for any web developer. Most of these cheat sheets allow you to download them in PDF format which is easy for printing. 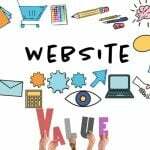 There is another aspect to website development, and that is design which includes elements such as colors, typography, page layout etc. For information on that, don’t forget to bookmark this nice set of Web Design Infographics. Once you have done that, let us proceed to our list of cheat sheets for Web Development. 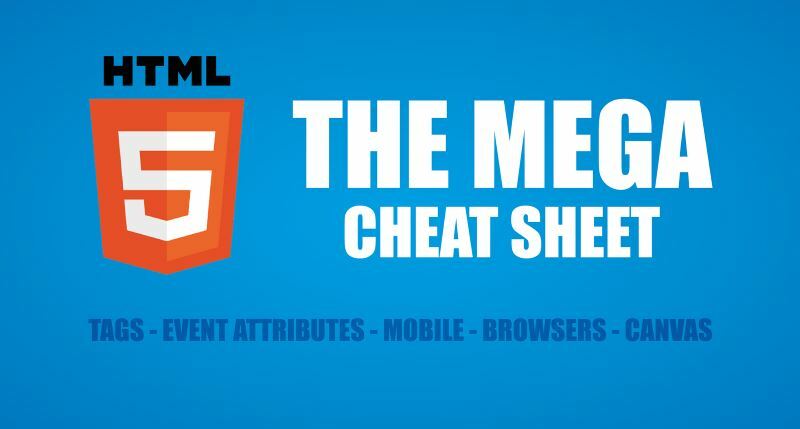 This HTML5 mega cheat sheet lists down all the HTML tags along with short description of each. This includes new HTML5 tags such as Section, Article, Nav & Aside along with all the old and existing HTML tags. HTML attributes such as onclick, onkeyup etc. are also covered. This HTML5 cheat sheet also provides information on the Canvas element including its methods for drawing paths, circles, images etc. You can download the cheat sheet in printable PDF file in A4 format. For being productive with CSS, it is important to either remember all the style attributes or to have a handy cheat sheet which lists them down for quick reference. 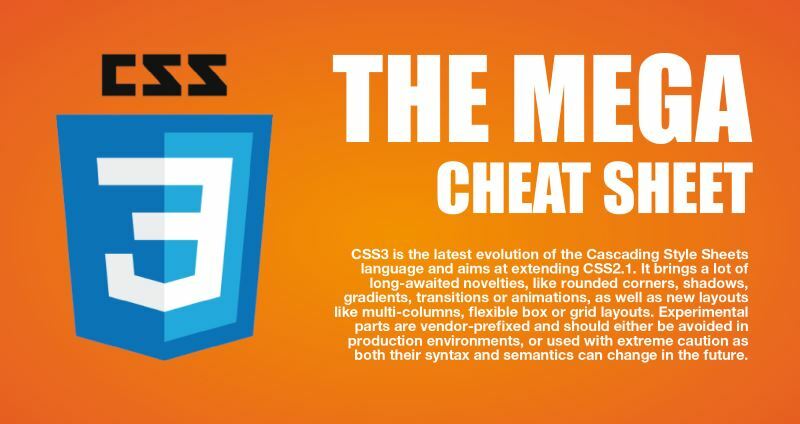 This CSS mega cheat sheet is a great time saver if you work with CSS on day to day basis. The cheat sheet provides a list of almost all CSS properties that are needed to style visual elements such as background, borders, positioning, font, transitions etc. A printable PDF version of the cheat sheet is available for download too. 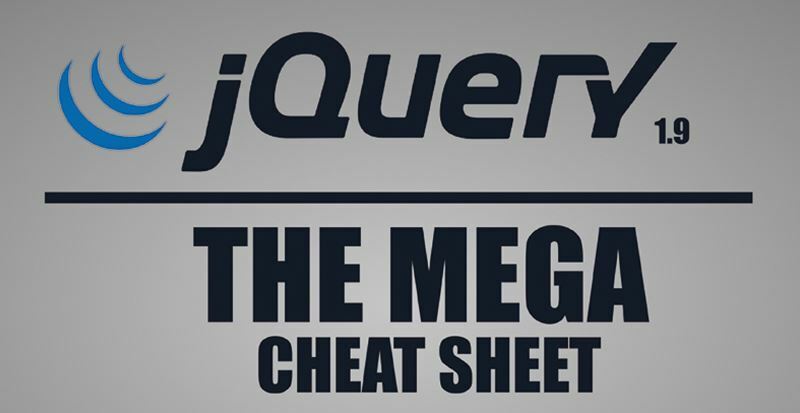 With this jQuery mega cheat sheet, you get quick reference to jQeury selectors, AJAX methods, animation effects and much more. 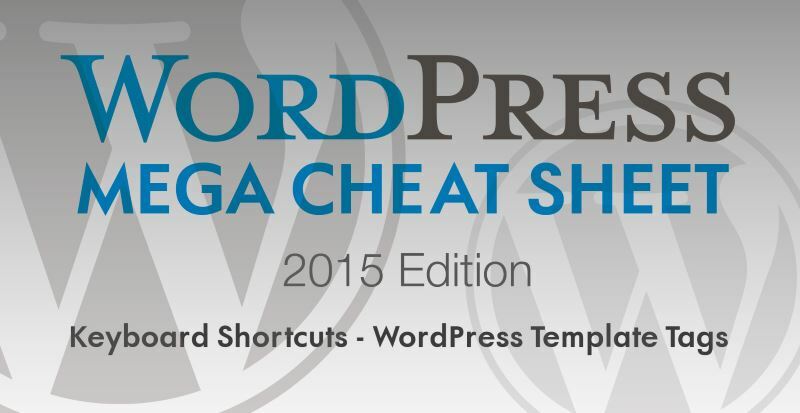 A printable PDF version of the cheat sheet is also provided for download. 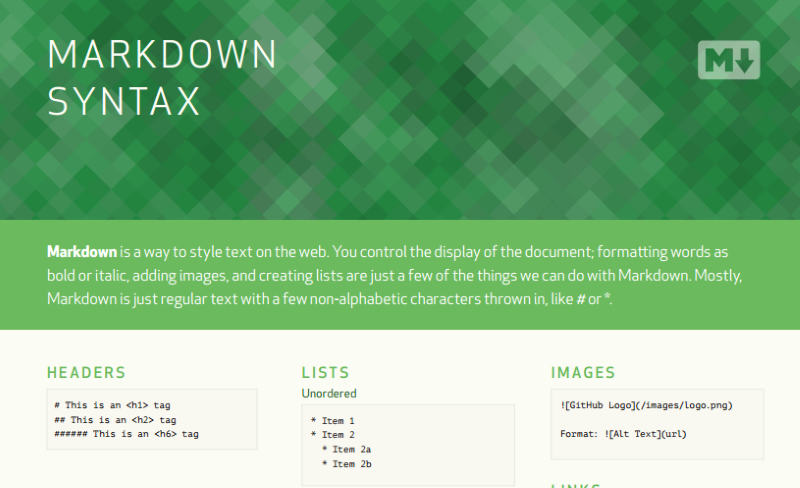 Markdown is a simpler way to style text on the web and is getting more popular for web authoring due to the presence of static site generators such as Jekyll and Hugo. Even WordPress editor supports authoring posts and pages in markdown. Moreover if you are using GitHub, markdown is the way to write read-me files, open and respond to issues as well as to write documentation in Wiki. This is why GitHub provides a handy markdown cheat sheet in printable PDF format. You can download it using the link below. Since GitHub uses its own version of markdown, you may also want to checkout this cheat-sheet which a more generic one but is available as an online version only. Bootstrap is one of the most popular web design CSS frameworks and is used by many web designers. Bootstrap 3 has been around a while and is the most used version. 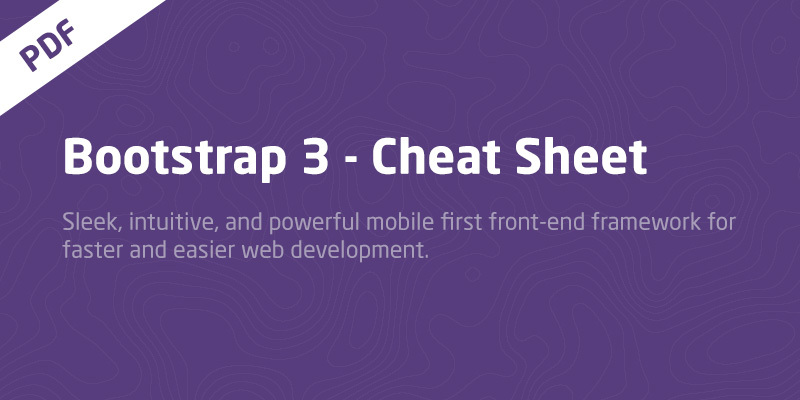 While we have provided link to Bootstrap 3 cheat sheet below, you can also find a cheat sheet for Bootstrap 4. While PHP is a 20 year old programming language, it is still very popular for back end web development and powers majority of the websites out there. Whether you are working with WordPress or using a framework like Laravel, learning how to use PHP library functions is a vital step in becoming a PHP master. 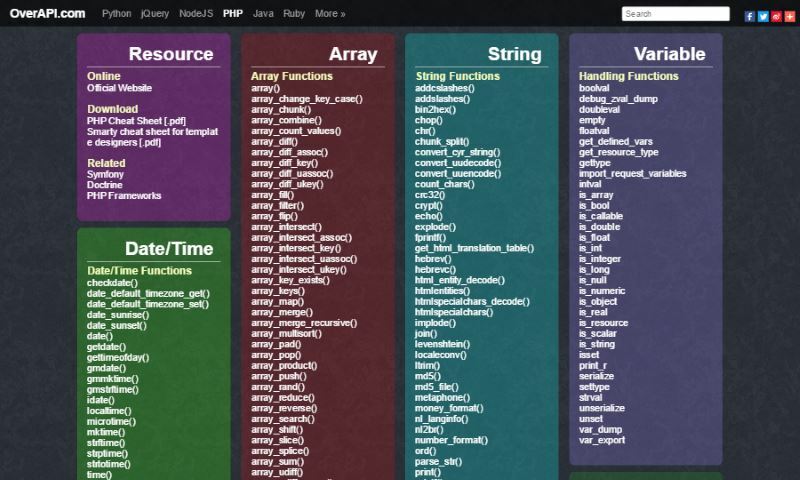 Using the cheat sheet below, you are sure to be one click away from documentation of most commonly used PHP functions. WordPress is the backbone of many websites on the internet and as a WordPress developer, you need to learn both the WordPress dashboard as well as WordPress development paradigm known as template tags. In this WordPress Cheat sheet, you will find both: the keyboard shortcuts to work with the WordPress dashboard faster, and a handy reference of WordPress template tags. A downloadable PDF version is also present. 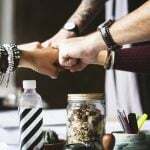 If you are doing web development and not using a version control system then you should stop everything and learn about them. If you are indeed using them, then most likely you are using the Git version control. Unless you are using a GUI, working with Git requires a lot of commands. 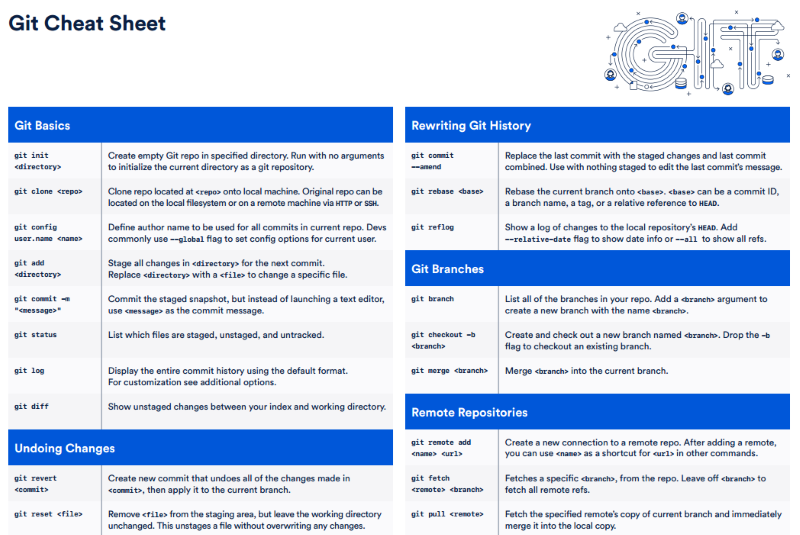 This Git cheat sheet by Atlassian saves you time when you are working with the command line. 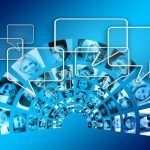 It provides information about the basic Git commands as well as includes more advanced concepts around Git branches, remote repositories, undoing changes, and more. The cheat sheet is provided as a downloadable PDF file. 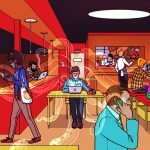 In order to be productive as a web developer, one needs to have fast access to information that we need quite often. 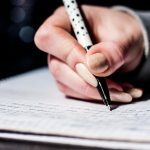 These cheat sheets serve great purpose in looking up such information until they get imbibed into our mind and we don’t have to look them up anymore. 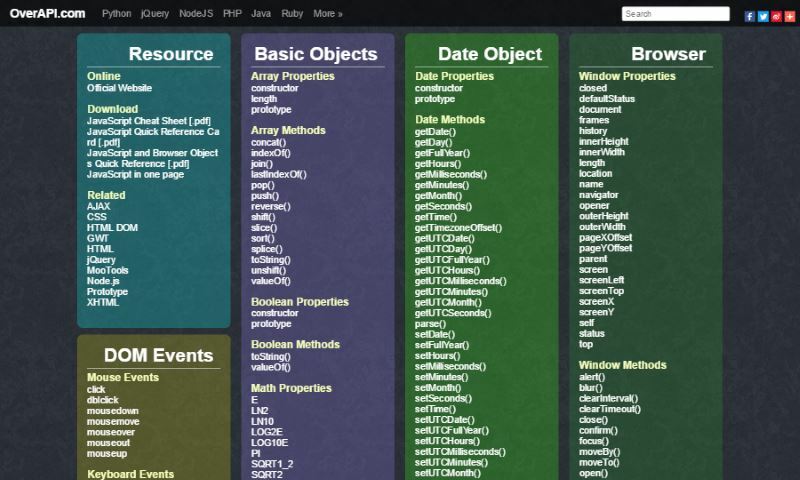 Do you make use of cheat sheets for web development? 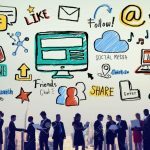 Do you hand code your websites or use Website Builders for building websites? Let us know if you find our collection of cheat sheets useful or not. 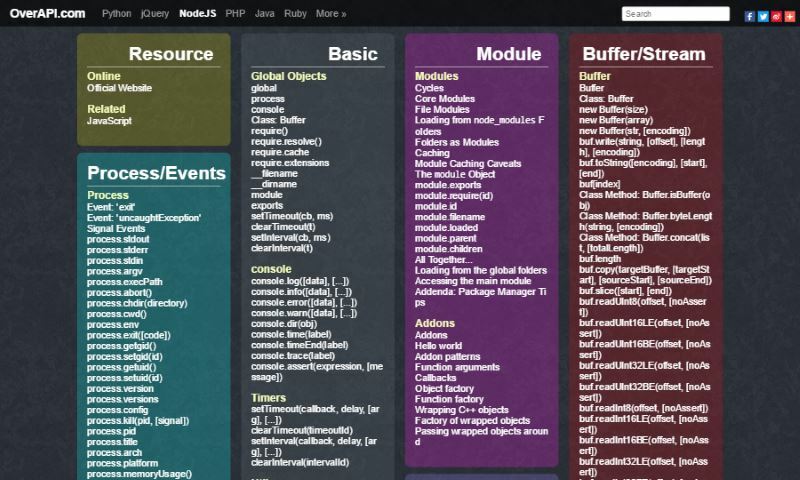 Also don’t forget to add any cheat sheet in comments that you find useful in your own web development workflow.